As promised, I am back with a couple #1room30days updates. I have to be honest yall…I am sooo behind. Like I told you last week, life got in the way last week, and this weekend I will be traveling to visit a recovering friend, so I am just behind. But the finish line is close! Plus, what great project doesn’t have hiccups. So I’m not beating myself up too bad. 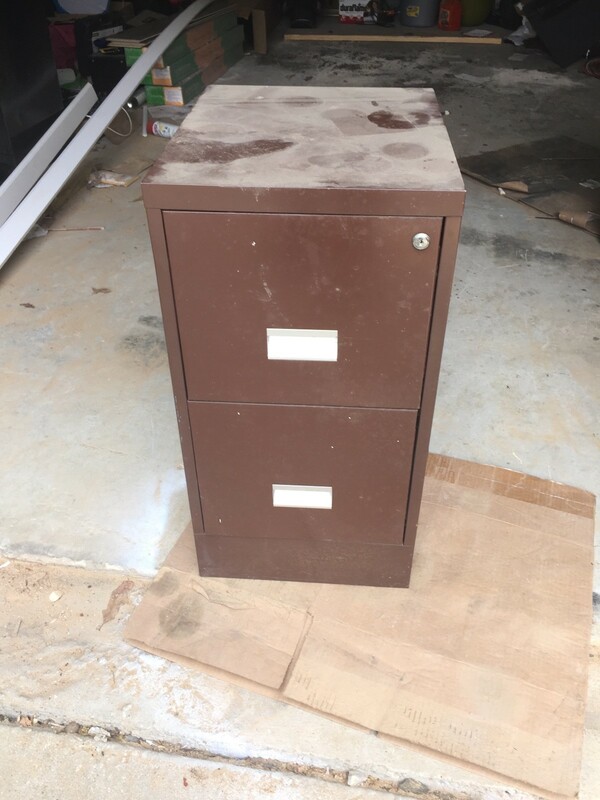 I spray painted my file cabinet last Sunday. 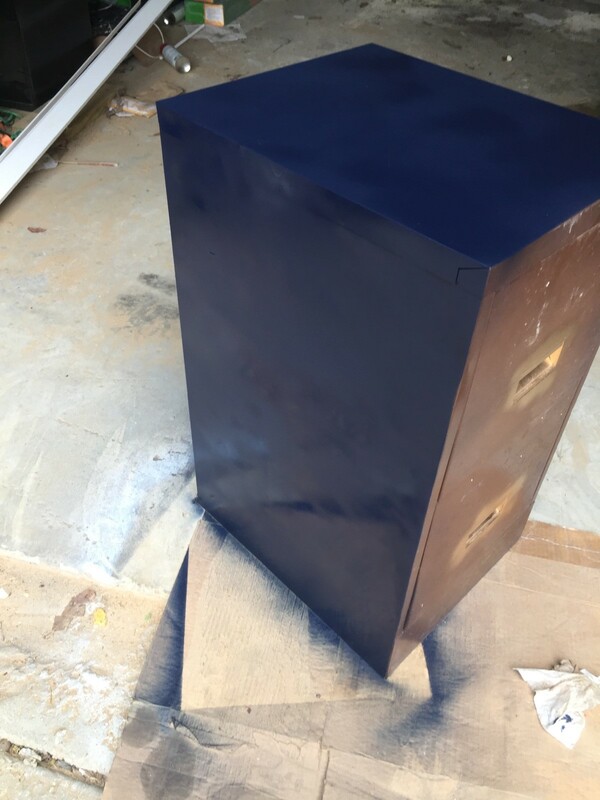 I used Krylon Gloss Navy Blue in a gloss finish. Once it dried, the color was okay, but I wish it didn’t dry so dark! But I guess Navy is a dark color so I digress. 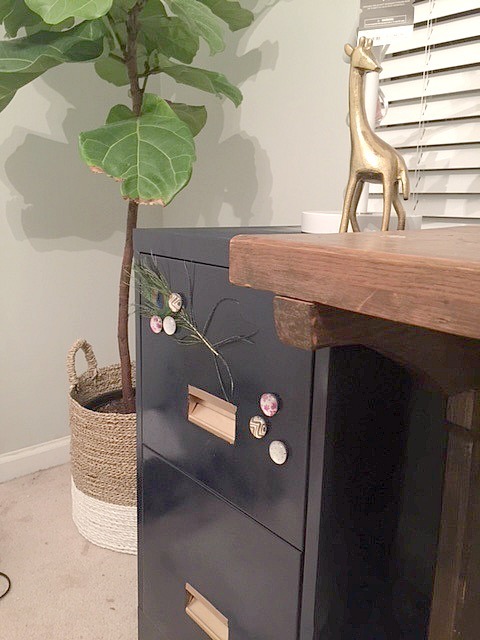 I added some magnet embellishments from Target’s $1 section. I don’t know if I am sold on the color though. We will see. 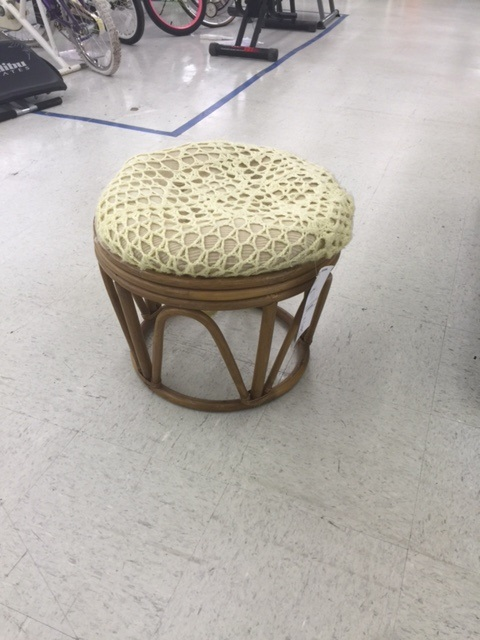 I also found this stool at Goodwill which I love! It will be getting a makeover as well. 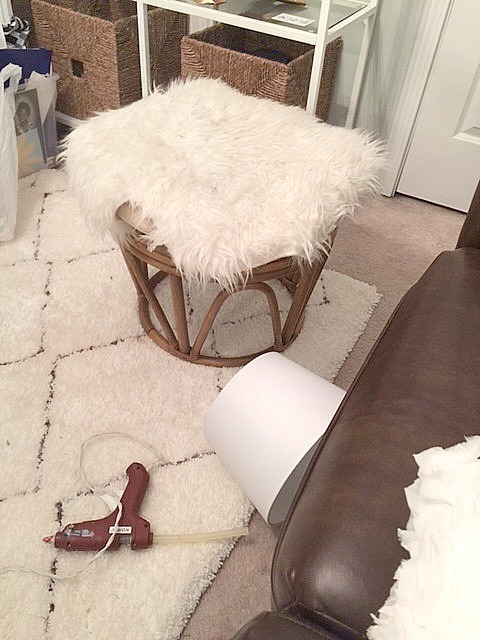 I have decided to make it a faux fur stool which I think will be cool in the office. And that’s pretty much it guys! So not much progress, but some progress. 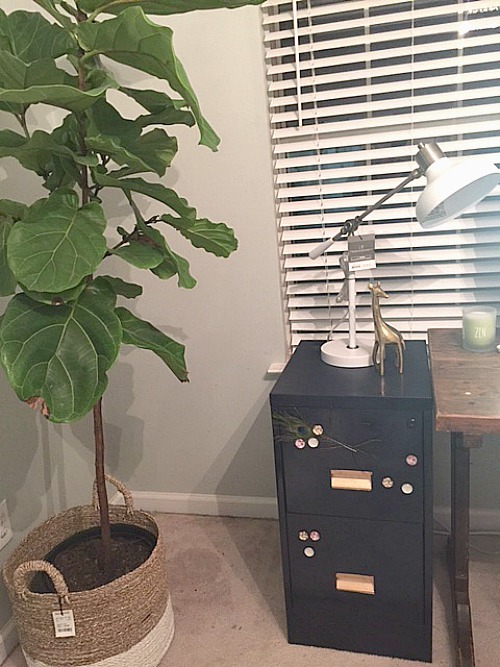 The last couple of things I need to do is stain the desk and give the office a chair quick sprucing then I will be done. As always, thanks for sticking around through it all. Oh, and don’t forget… there are several ladies who participated in this project and they actually finished on time! lol. And don’t forget. You can check out my progress, from the start here, here, and here. I'm know you're torn, but that navy is fab! But I have to be honest, navy is in my top 3 fav colors of all time.